Something I get asked quite frequently on my blog, and indeed in real life at blog events and such - is what kind of camera do I use for blogging. It's something that I've been doing for some time now (er hello, seven years!) 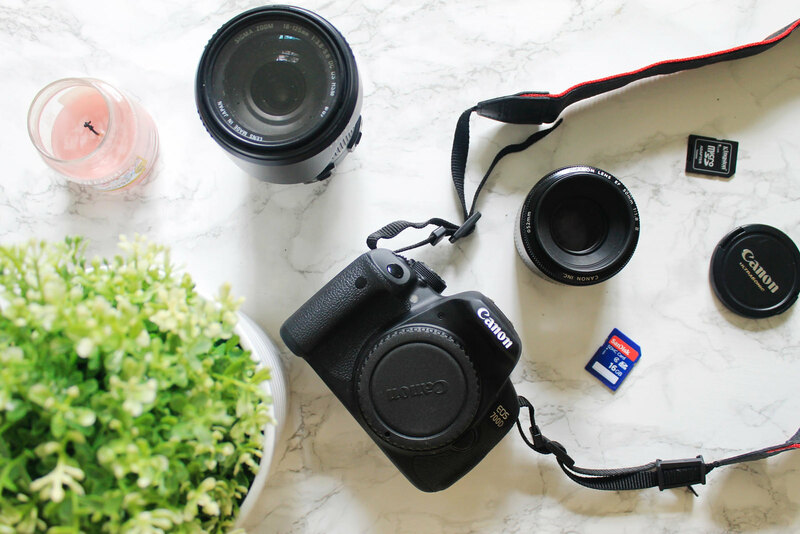 and although The Little Things hasn't been around for quite that length of time, my love for cameras and various lenses has never changed with an eye to blogging. To be clear, I am not saying that you need to have a super duper whizzy expensive dead heavy SLR camera to be a blogger. But I do find that they provide me with the quality of images I'm looking for in regards to my photography and blog in general, but as someone who studied photography - this isn't something I take lightly. It's taken a lot of time and saving to invest in the kit that I own now, and although some days I wish I had more of a dainty little compact thing - it's whatever works for you. The best piece of advice in regards to photography I ever had, was that an expensive camera doesn't make you a better photographer. Learning to work with what you've got to the best of your ability will help you get there faster, and without the hefty price tag. Lens and body wise I've currently upgraded from a Canon 1100D, which is now much more affordable and a great camera for anyone considering getting a bit more serious with their photography, and it also does video, though you do have to be confident in using it manually and turning off that pesky 'auto' button. 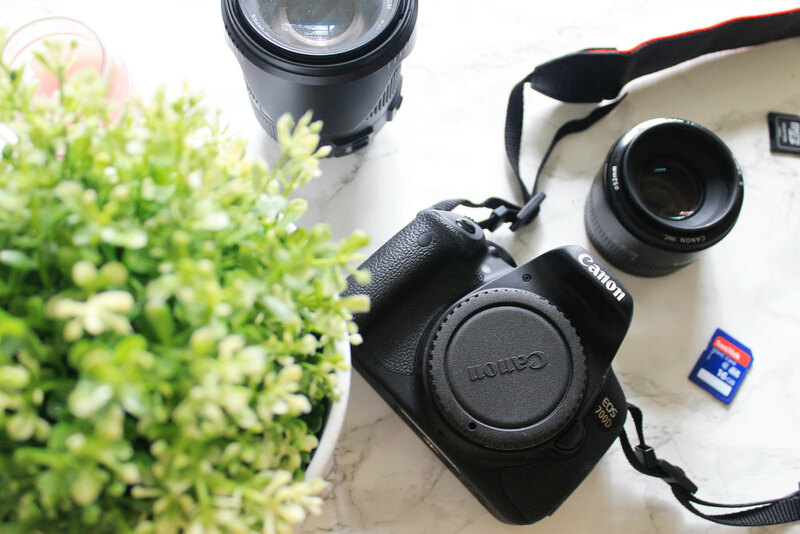 I now have a Canon 700D which is something I've specifically invested in for my travels, as I felt I had outgrown the Canon 1100D which is more of a starter position, and the 700D now allows me to make use of a flip out screen, which is great for doing vlogs on and checking you're both in focus, and within the screen! I have both a Canon 50mm lens for those close up macro shots which give the lovely blurred out of focus backgrounds you'll notice a lot of bloggers have, and my lens I've also just upgraded to a Tokina 10-24mm for super wide angle shots, ideal for city scapes on my travels. 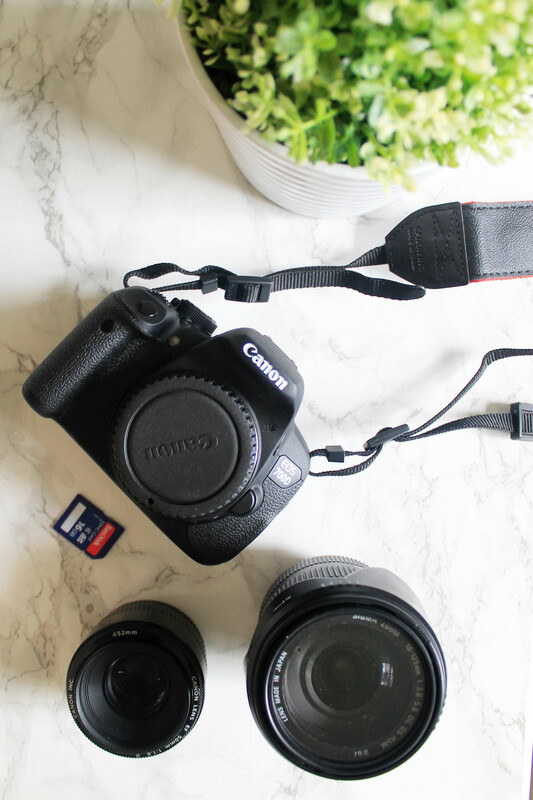 There are so many great tutorials out there for making the most out of using your camera, no matter the make or model, and the second you really learn how to use it without the use of auto mode - you'll see a big difference in your shots. Similarly, investing in some good editing software and learning how to use it can help fix anything that didn't go quite right in your photo which you were un-able to resolve when capturing it. If you're a student downloading an Adobe Creative Cloud license is relatively cheap, and totally worth the investment for Photoshop if you're a beginner, or Lightroom if you're looking for something a little more advanced. 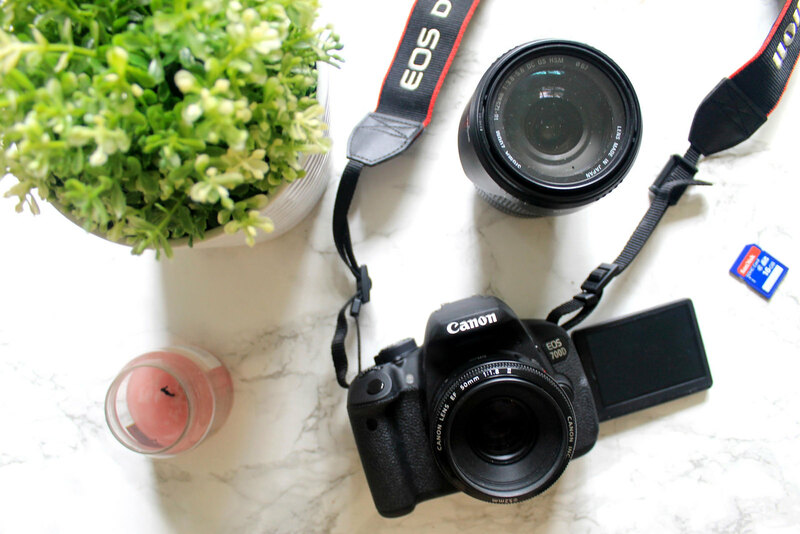 I hope this helps anyone looking to make an investment in their photography equipment for blogging, and feel free to leave me any further questions in the comments!